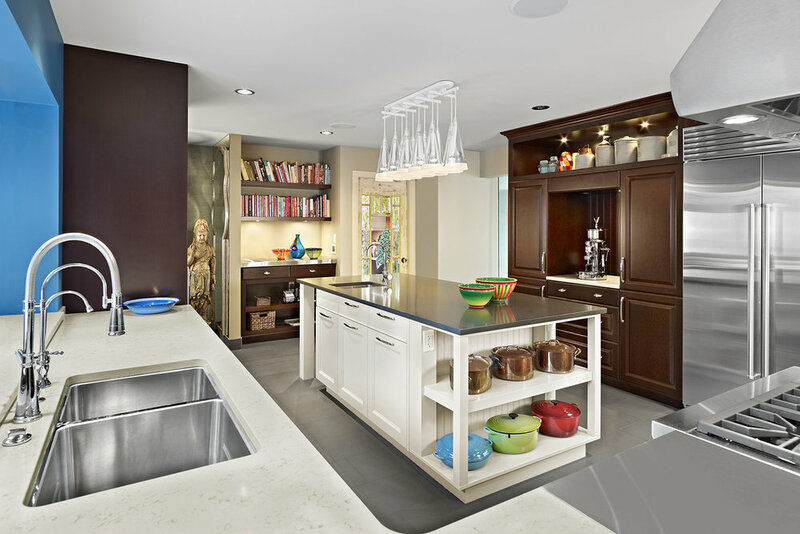 This modern kitchen is visual proof that transitional design when well balanced becomes pleasant and exciting. Designed to invoke the unique feel of this vibrant home, the kitchen is a mixture of surfaces and textures. 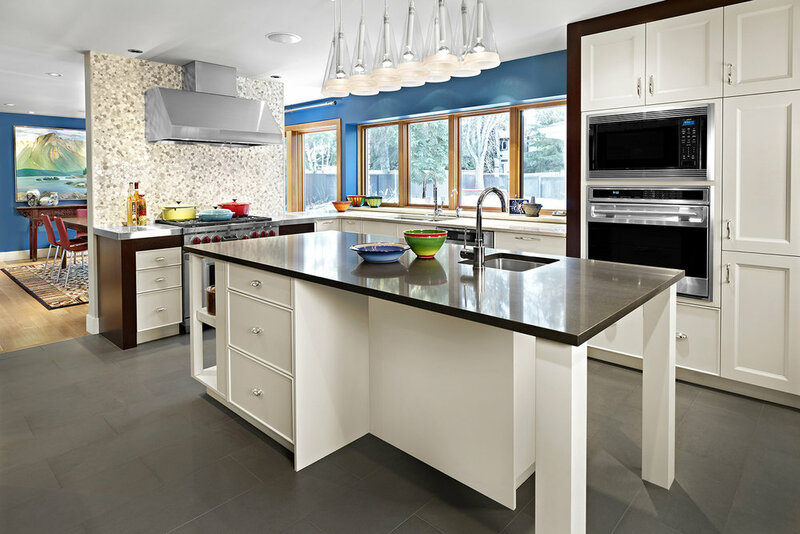 The stainless-steel and quartz countertops provide plenty of landing space around the sink and stove areas. The off-white cabinetry resembles transitional modern while the dark wood adds a hint of old world. The introduction of a variety of playful colors throughout walls, pottery and artwork are the final touch for this relaxing environment. Due to the careful balance of art and function, this kitchen handles cooking with ease and delight. Cabinet Colour (Ensuite): Benjamin Moore “Moonshine"
The open relaxed feeling in the ensuite with its abundance of natural light and a welcoming fireplace would make us linger just a bit longer.